Blazing in brilliant streaks of colour that dance across a dark sky, the breathtaking Aurora Borealis is a natural wonder to behold. In these waving prisms of light lies the illuminating mystery and magnificence of the stratosphere. Now, you can wear the dazzling beauty of the Northern lights in the Aurora Borealis stud earring set, a first-ever fine jewelry design available only from Magick. 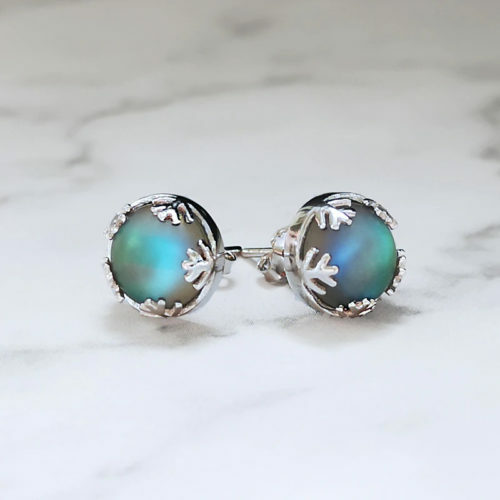 These “aurora forest” themed earrings are handcrafted from solid sterling silver, turning the crystal in the sun will show different halos, representing the colourful aurora above the trees.